It is with great sorrow that we observe the events in the country which was an historical cradle of Russian Orthodoxy, and we lift up our prayers daily in our churches and monasteries for the cessation of the conflict and for the peace of those in enmity, and we commemorate all those who laid down their lives for their neighbors. The Council of Bishops Sends Namesday Greetings to Metropolitan Onouphry of Chernovitsy and Bukovino, the Locum Tenens of the Metropoliate of Kiev. We send our heartfelt greetings on your namesday! In these difficult days for Kievan Rus, you became the locum tenens of the Kievan Metropoliate by Divine Providence. A heavy burden has been placed upon your shoulders. Only by relying on the Lord can this cross be borne, which is placed upon every Christian living in Ukraine today. 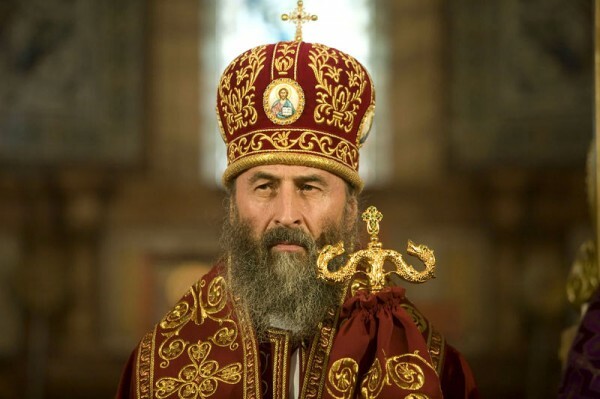 We ask that Your Eminence accept the earnest congratulatory message on your namesday from the entire Council of Bishops of the Russian Church Abroad, and many good years of service to the benefit of the Church of Christ!